With its many names, this non-native bird (endemic to Asia) might be best called by its latin name Lonchura punctulata. It has been added to the California Bird Records Committee State List with the common name Scaly-breasted Munia, so we call it that in the garden. 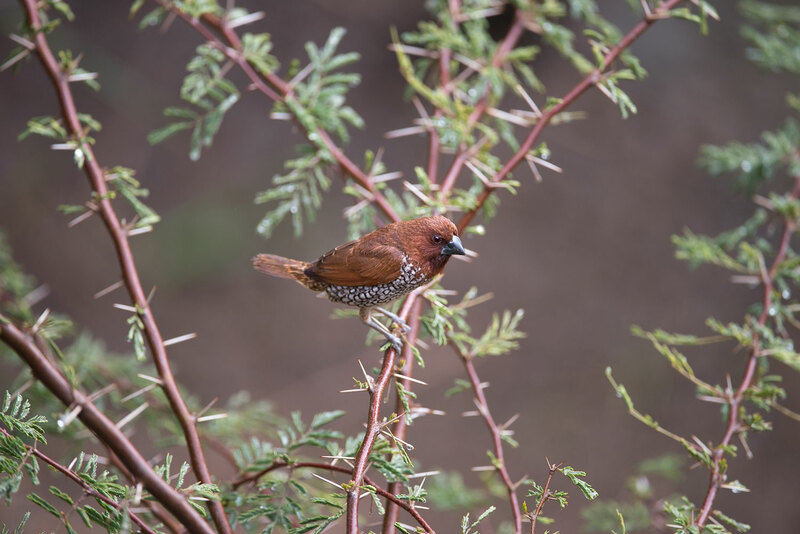 After being absent from the GNG during the summer months while they bred, Scaly-breasted Munias have now returned. They tend to show-up around Halloween, and his year was no different.